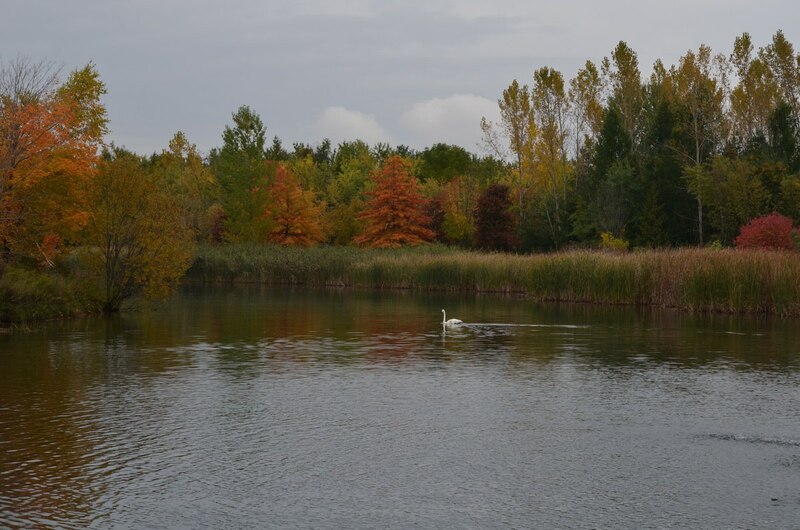 Earlier this past fall, visitors to Milliken Park in northeast Scarborough would have noticed that only two Trumpeter Swans were inhabiting the main pond where previously there had been a family of four. Tango, the female or pen, was diligently caring for her one remaining cygnet after the untimely death of her other baby in mid-September. 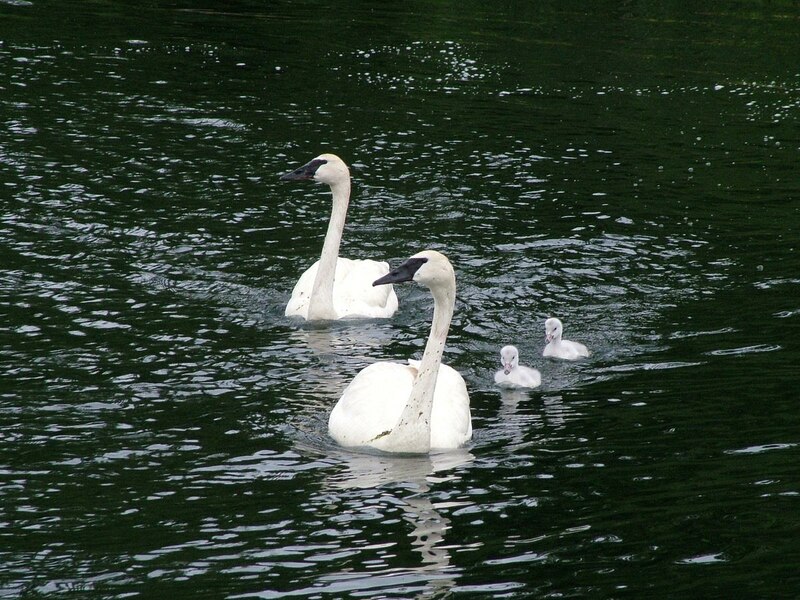 Bob and I had made regular trips to the Park to monitor the progress of the Trumpeter Swan cygnets since they hatched, but a particularly busy period for us meant fewer visits over a couple of weeks. What a shock it was then to learn from one caring person who contacted us through our blog that one cygnet had been found dead. We were deeply saddened. 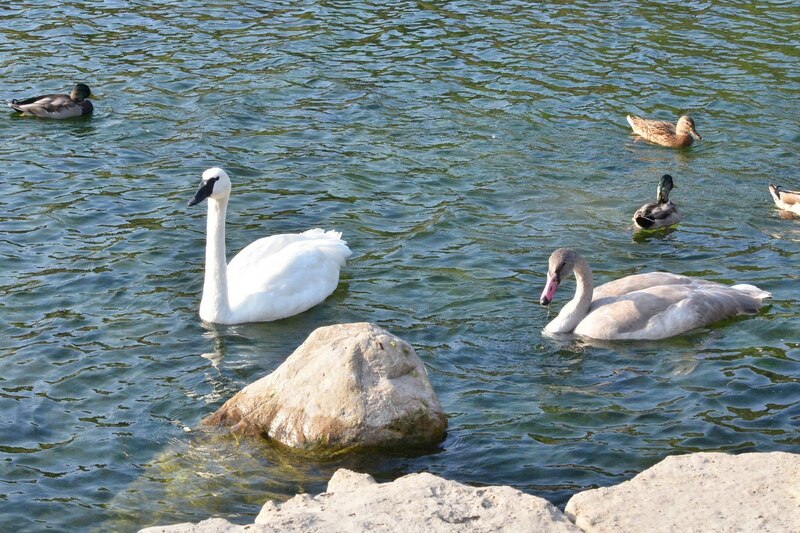 From the beginning, the cygnets and two adult Swans were inseparable, and each time we observed them, a difference could be seen in the overall size of each cygnet. 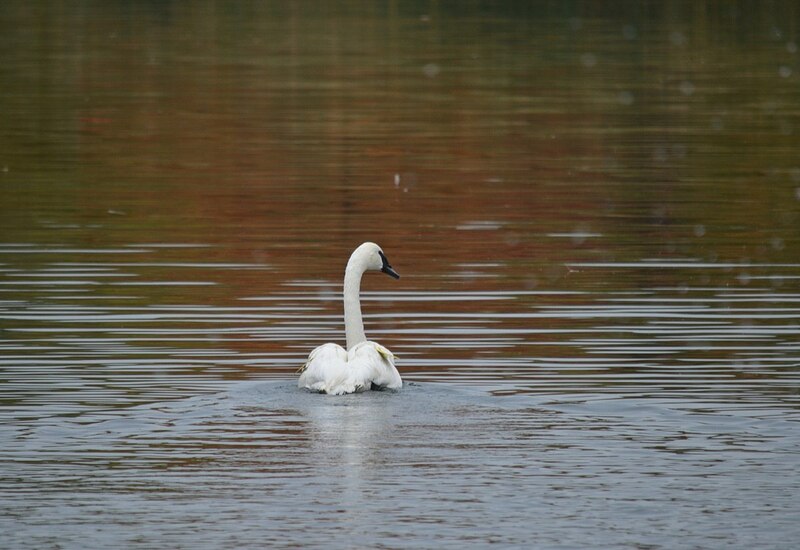 As soon as I learned about the death of the cygnet, I contacted the Ontario Trumpeter Swan Restoration Group. Through a cooperative effort by dedicated volunteers, Park staff and ourselves, we retrieved and delivered the cygnet’s carcass to the Ontario Trumpeter Swan Restoration Group who then transferred it to the University of Guelph for analysis. 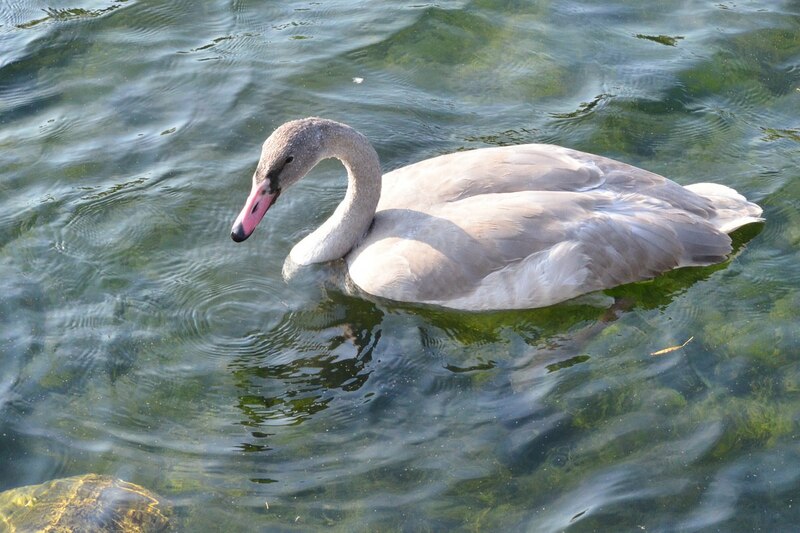 It turned out that the cygnet had an overwhelming fungal infection that affected a large percentage of its organs. Tango and Rumba, the male or cob, were very protective of their babies, and it was not uncommon to see the cob scaring off geese that intruded on their space. 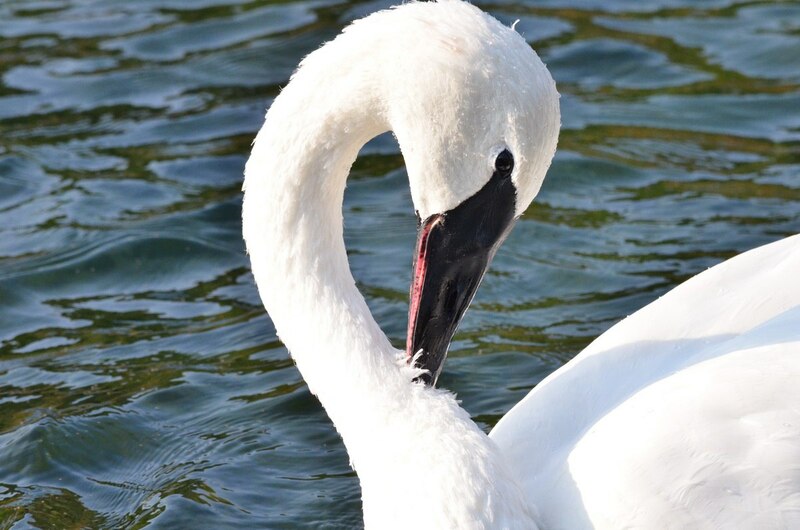 Within a day or two of the cygnet dieing, a volunteer for the Ontario Trumpeter Swan Restoration Group noticed that Rumba was not well. In fact, his legs were wobbly, and he had difficulty standing and swimming. The Toronto Wildlife Centre was contacted. They had already been in the loop about the infected cygnet, so they took immediate action and collected Rumba from Milliken Pond. 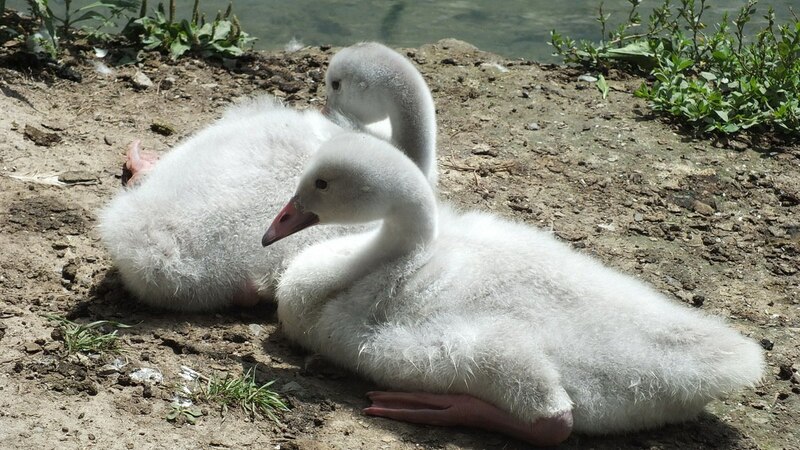 In his absence, the one remaining cygnet continued to thrive and to grow larger by the day. 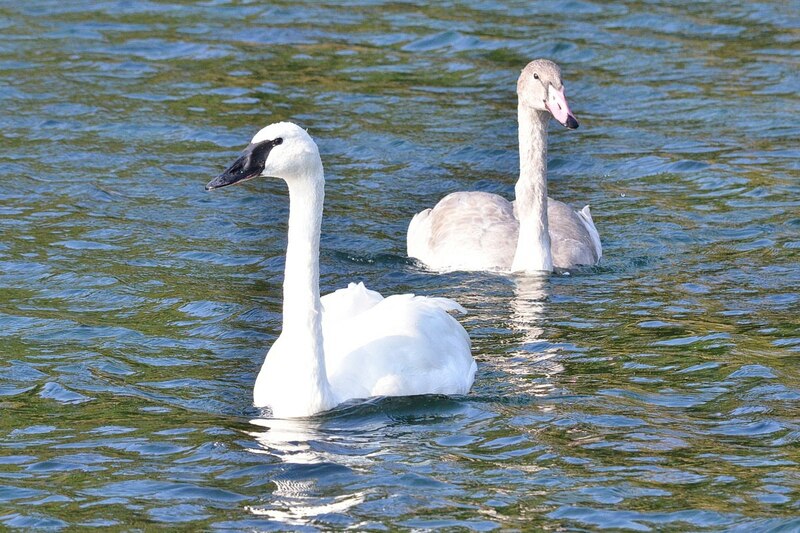 So, as of Monday, October 13, Tango and her cygnet were happily cruising the waters of Milliken Pond. 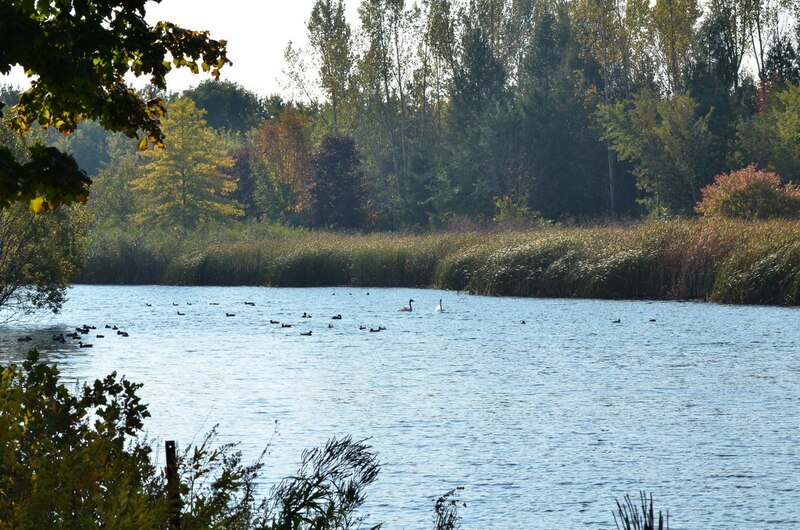 Good news reached us yesterday, Wednesday, October 15, when we got word that the Toronto Wildlife Centre had requested that Rumba be picked up and reunited with his family at Milliken Pond. 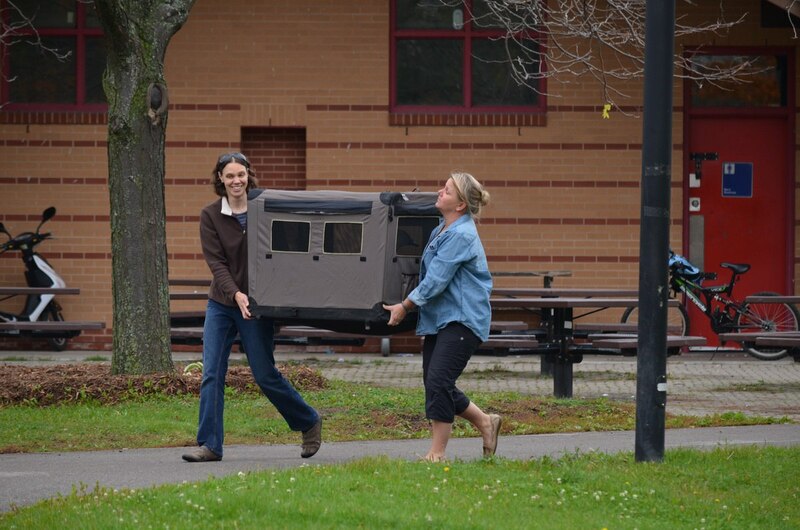 A welcoming party greeted the two representatives from the Ontario Trumpeter Swan Restoration Group who carefully transported Rumba across the city and carried his portable cage to the edge of the Pond. They had already been forewarned. There was absolutely no sign of Tango, his mate, or the cygnet when Bob and I and one of the volunteers arrived at the Pond. A decision was made to proceed with Rumba’s release given that he is familiar with the pond. Tango and the cygnet could have been out on a training flight since the cygnet is learning to fly and working to gain strength in its wings. The cob did not even blink an eye but hopped right into the water. We were all thrilled to have him back where he belongs. A pair of Trumpeter Swans mate for life, and it was only moments before Rumba began honking in an effort to alert Tango of his return. Only problem was that Tango was nowhere near and could not hear his forlorn calls. 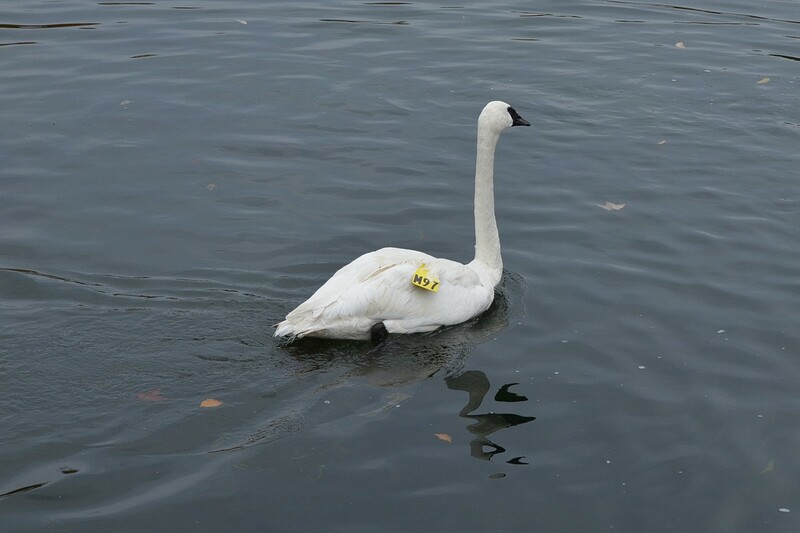 Prior to his stay at the Toronto Wildlife Centre, the Ontario Trumpeter Swan Restoration Group had been unsuccessful in banding Rumba, so before he was collected from their care, they took the opportunity to tag his wings. As Bob and I celebrated the return of Rumba, he gracefully swam about the pond and took great pains to cleanse his plumage and familiarize himself with the new wing tags. He was doing full body rolls in the water, stretching his wings and generally glorifying in his freedom. 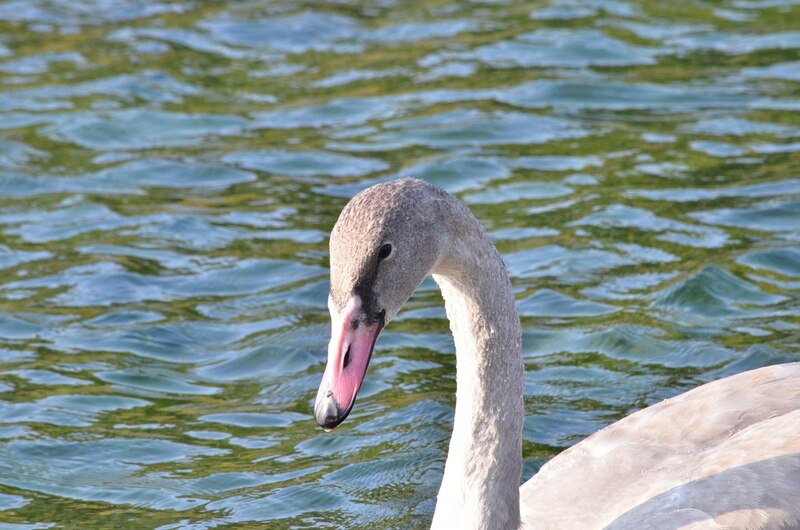 A check of the pond this morning confirmed that neither Tango nor the cygnet had yet returned. Rumba was savouring a deep sleep on his nest. We have been assured by the experts that Tango and Rumba will find each other again. They both know where their wintering ground is, and it is inevitable that they will both turn up there later this fall. I am relieved about that. 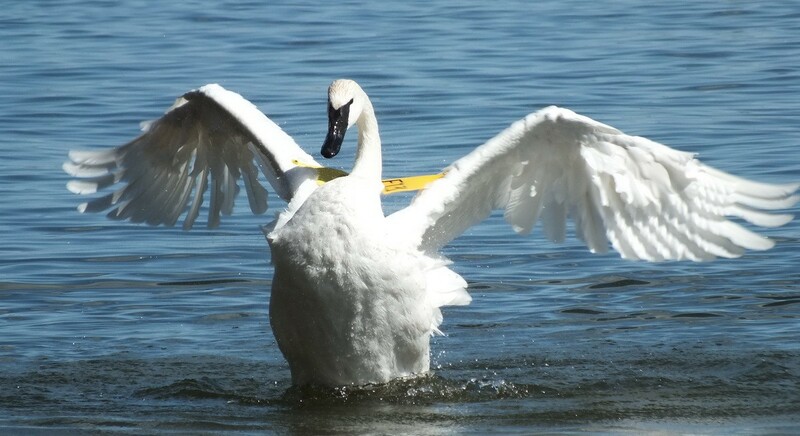 The Trumpeter Swan Society (TTSS) is a non-profit organization dedicated to assuring the vitality and welfare of wild Trumpeter Swan populations.